Amaster dressmaker and designer, Emile Pingat (c. 1820-1901) was among the elite Paris couturiers of his age, who dressed the wealthiest and most sophisticated of clients in the fashion capital of the world. His celebrity was evident in the fashion press and his mastery of his craft was demonstrated in every elegant silk gown and trimming that he created. By 1864, Pingat opened his couture house at 30 Rue Louis-Le-Grand in Paris and he quickly became a competitor Charles Fredrick Worth. 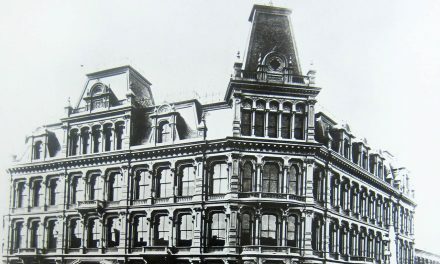 His clients knew him for flawless workmanship and monochromatic color palettes enlivened with a single accent color, which gave his works elegance without sacrificing any of the opulence of nineteenth-century fashion. Americans who visited Paris liked to fill their trunks with haute couture and often frequented the Maison Pingat; for those who could not make the journey to Paris, licensed copies of Pingat’s designs were made to order by American dressmakers and stores. Fashion-conscious women could also make their own versions of Pingat originals thank to sewing patterns sold by Harper’s Bazar. By the 1880s, Pingat was known for his outerwear, including day and evening cloaks, jackets, and dolmans. 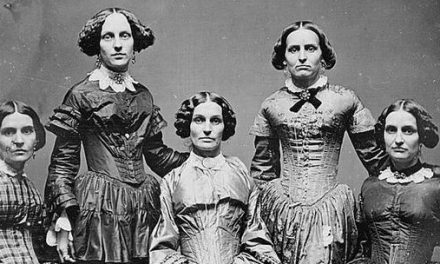 While cloaks and jackets are still worn today, the dolman was an outer garment designed to accommodate the large bustle of the 1880s, and the term is used for any outer garment designed with the bustle in mind. Pingat designed his outerwear with no less artistry than his other creations, masterfully combining sumptuous silks and unusual trimmings such as feathers and fur with delicate embroideries and lace. Pingat reigned for over thirty years as one of the leaders of haute couture during its formative era. Despite his important role in the history of fashion, his name has fallen into obscurity. Unlike Worth, Pingat had no heirs to carry on his business and, and after he sold it to A. Wallès & Cie. in August 1896, his name virtually disappeared from the fashion world. Despite coverage in the fashion press and extant garments that show Pingat was a fashion giant and among the first couturiers, relatively little is known about him. Pingat was known for his deft manipulation of textiles, showing off their beauty to create elegant garments with a single base color and a single accent color. He chose colors and trimmings that are artistic but never excessive. 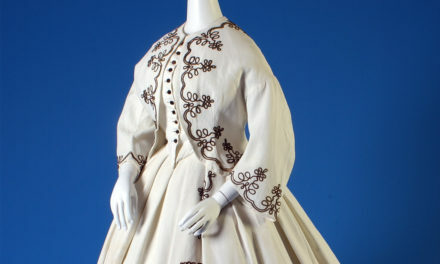 Note in particular Pingat’s use of negative spaces contrasted with bold trimmings, layered ruffles, and embroideries on voluminous skirts. Coleman, Elizabeth Ann. The Opulent Era: Fashions of Worth, Doucet, and Pingat. London: Thames and Hudson, 1989. Fehler entered textile conservation by way of theatrical and historical costuming. She holds a BA in Spanish Language and Culture from Russell Sage College and completed art historical research at the Universitat d'Alacant in Spain. She has been a conservation department intern at the Hispanic Society of America since March 2016.